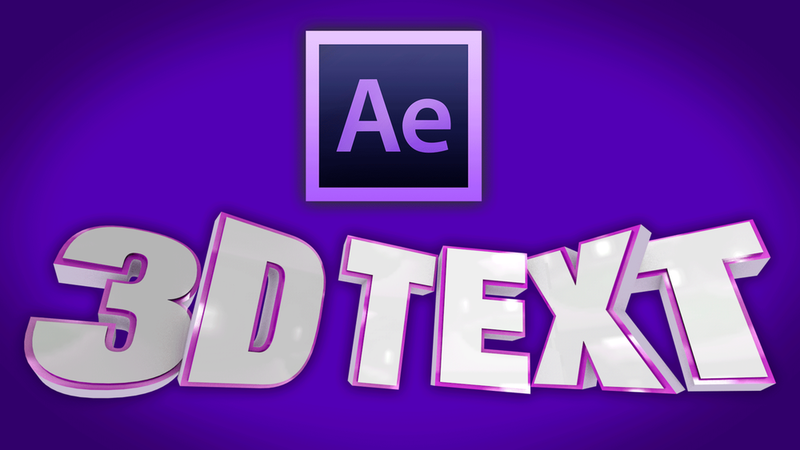 Understanding the built-in 3D engine in After Effects can be tricky if you’ve never worked with programs like Cinema4D, but this tutorial from the team over at Greyscalegorilla will guide you through the process of building your first 3D animation. They even include the project files, so open up After Effects, and follow along. Now for this next part, you’ll want to add lighting and reflection. Once you’ve done this, you need to add a camera to the project. Go to Layer > New > Camera > Two Node Camera, and then set the focal length to 30mm. Next, we’ll add bevels to the text, so select the 3D Text Layer and hit the “A” key twice. This will open up your 3D options. Play with the bevel depth as you see fit until you get the text to your liking. Once you’ve established the camera, the shape of the text, and the size, you can start playing with the specifics of the color and the lighting. Then you can animate the text. To do this, go to the camera layer and hit “P” for position and set it for however long you want it to move or bobble. In the example, they set it to two seconds, so add a position keyframe where you want it to stop. Bring up the Rotate tool by hitting “C” on your keyboard. Then move the text around until you find a good spot to start the animation.